Heads up! There’s some new, beautiful young broads in town. 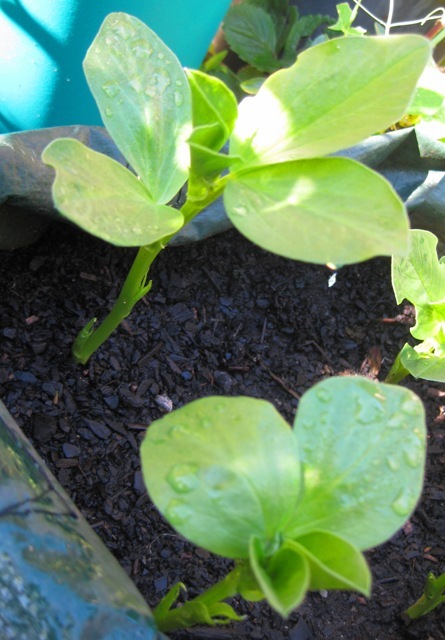 I purchased organic broadbeans from Eden Seeds, my favourite supplier. They took ages to poke their heads up. Two weeks in fact, but that is quite normal. 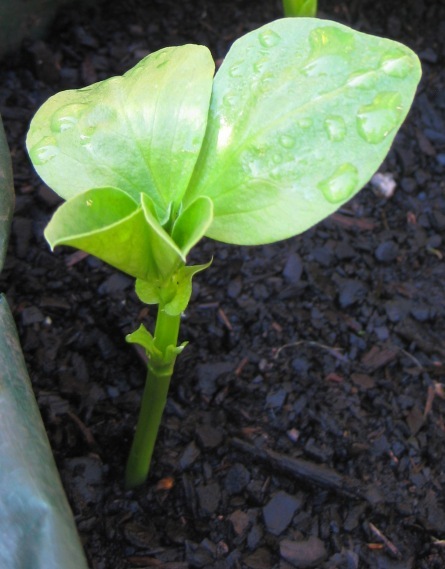 There’s 90 – 120 days between sowing and picking. 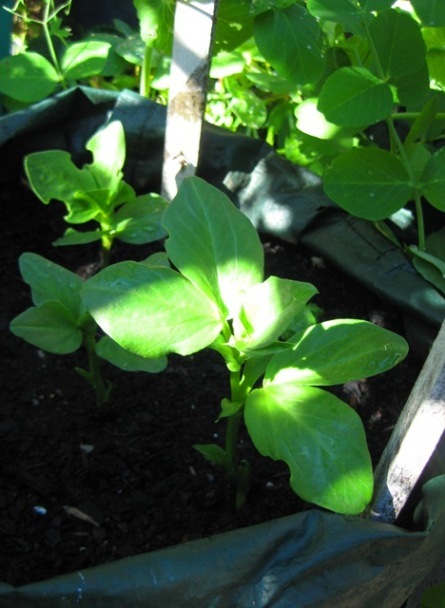 One secret of broadbeans is to not water them at all from the day of planting until two distinct leaves are visible above the ground, else there is a chance of rotting. I planted 70 beans in various places in the garden. Some were devoured by slugs, some are being eaten as of today, some seem fine. I just read that sprinkling eggshells or cinnamon around the plants sends slugs running. Or sliding.